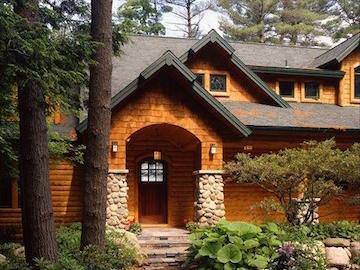 What’s the Difference Between White Cedar and Red Cedar Log Siding? At first glance, it may be difficult to spot the differences between Northern White Cedar and Western Red Cedar log siding. Both have that spicy aroma that inspires cedar-lined closets, attics and trunks. Both have a similar face grain. And both are trusted for interior and exterior building thanks to their durability and natural resistance to decay and insect damage. 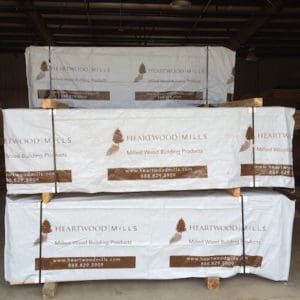 But take a closer look to compare these two wood species for log siding, and you’ll see that though both are great choices, there are notable differences. Log siding can transform any space into a warm, cozy log cabin-feel at a fraction of the price of a traditional stacked log home. 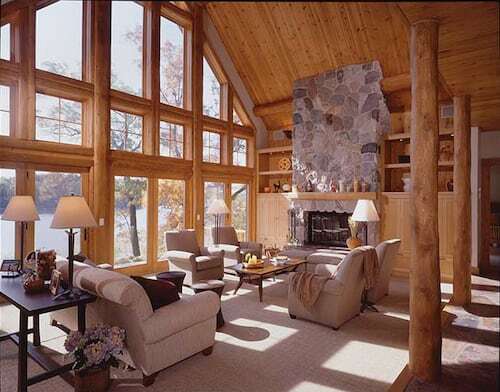 There are many ways to use log siding on interior walls to create the design of your client’s dreams. Here are some tips for selecting the right log sizes, textures, and colors for your project. When selecting the sizes and textures of log siding, be sure to choose products that will complement the home design. 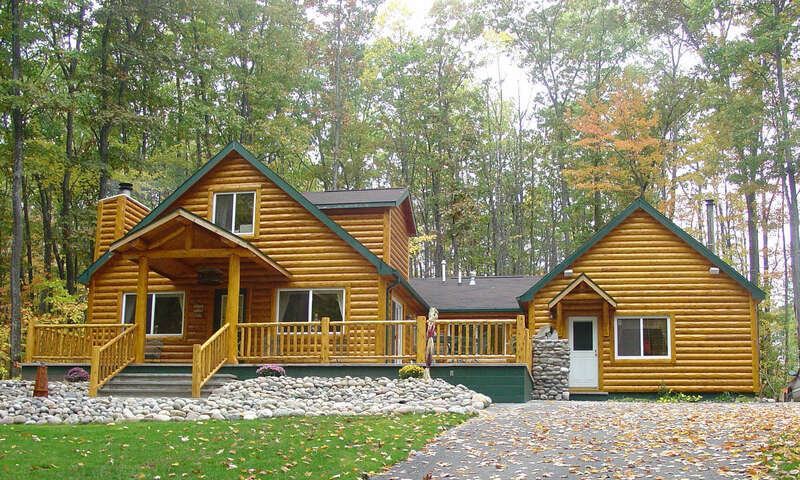 The most popular sizes of log siding are half log and quarter log. Half log siding is 3” thick and has a more rounded face than quarter log. This size is best for achieving a true log home look indoors and will add lots of natural architectural appeal to any room. 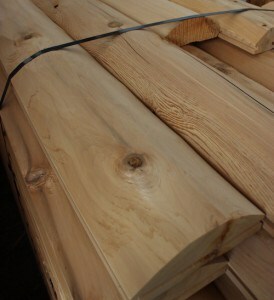 Quarter log siding is 2” thick and has a slightly rounded face. This option offers design versatility and allows homeowners to more easily hang artwork to decorate their log or timber frame home. Take a look at this home.